Dr. Robert Holloway discusses new treatments for ovarian cancer, known as maintenance treatments, for women whose disease has recurred and has either fully or partially responded to chemotherapy. Joining him will be Anne who will share her personal experience with the disease, and how she was able to persevere and overcome challenges despite her diagnosis. Dr. Holloway serves as the Medical Director of the Gynecologic Oncology Program at Florida Hospital and as a Clinical Associate Professor of Obstetrics & Gynecology at Florida State University College of Medicine. He earned his medical degree at Vanderbilt University School of Medicine, followed by a residency at the University of Alabama at Birmingham and a gynecologic oncology fellowship at Georgetown University in Washington, DC. Dr. Holloway is the principal investigator for several clinical trials and lectures regularly both nationally and internationally. His major research interests are robotic surgery and novel ovarian cancer therapies. Surgeons from around the world routinely attend his advanced training programs in robotic surgery. Neal Howard: Hello and welcome to the program, I’m your host Neal Howard here on Health Professional Radio. 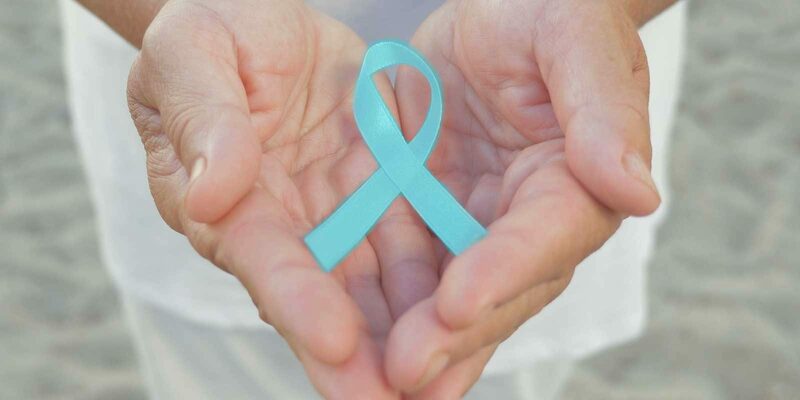 Well September is Ovarian Cancer Awareness Month and nearly 85% of women with advanced ovarian cancer are going to face a recurrence of this disease. Joining us to explain more about the latest in ovarian cancer research and the treatments is Dr. Robert Holloway and he’s joined this morning by Anne who’s going to share her personal experience with ovarian cancer. Welcome to the program both Dr. Holloway and Anne, how are you both doing? Dr. Robert Holloway: Thank you Neal. Anne: Thank you Neal. I’m doing well, I hope you’re doing well also. Neal: Absolutely, great. Thanks for taking the time. Well Dr. Holloway, talk to us a little bit about ovarian cancer and about the latest ovarian cancer diagnosis and treatments. Dr Holloway: Thank you very much. As you mentioned approximately 85% of patients with ovarian cancer who are treated with surgery, chemotherapy go into remission. Unfortunately about 85% of those patients will have a recurrence of their disease and require more treatment over time. What’s really new about ovarian cancer is these are therapies to be given into a treatment response with your recurrence and that has allowed women to live with this disease much longer in the United States. Especially we have now about 225,000 women in the United States with ovarian cancer, that’s quite a change over the past decade. Neal: You say maintenance therapy? Dr Holloway: That’s taking a therapy beyond your treatment for the recurrence of disease so patients who recur with their disease will go back on to chemotherapy regimens and they’ll get a response, meaning a reduction in disease and many of those women actually go into a clinical remission where the disease cannot be found on a CAT scan but instead of taking the watch and weight approach for it to come back, you can now go on to a maintenance therapy to maintain that remission. Neal: Anne, tell us about your journey with ovarian cancer. When were you diagnosed? Anne: Oh thank you so much for asking. So basically in 2015, I was having some issues and went immediately and got it checked out. The feedback that I got was everything looked fine, it was suggested that perhaps I follow up with a specialist. But honestly I heard the word ‘fine’ and didn’t do anything else. Fast-forward six weeks, I was experiencing excruciating lower back pain and went to an emergency room and unfortunately at that point CT came back and the doctor, I’ll never forget, it was at midnight and he said “Your abdomen is flooded with cancer.” And we were devastated. Two days later, emergency surgery, seven-hour surgery with a lot of body parts removed, it was determined that I had stage 3c ovarian cancer which as you can imagine was devastating. What happened with me which happens with many of us with ovarian cancer is I’d completed my chemotherapy regimen and about six months later, I recurred and I had gone to get a follow-up, I just didn’t feel right and I knew that the cancer was back. And so I reached out to my oncologist, had some lab work done, another CT scan and once again the cancer was back. After another nine months of chemo and being told that most likely I’d be on chemo the rest of my life, my husband and I were thrilled to find out that I was a candidate for this maintenance therapy. Neal: Dr. Holloway, how typical is Anne’s story where the cancer has developed over quite some time and then being told that everything’s okay and then in six weeks, it’s in full blown. You have to have emergency surgery. Is it that slow acting in the initial stages? Dr Holloway: Her story is actually very typical and I think one of the things Anne says that she has felt these symptoms for a while and that’s actually been seen as often times there are several months of symptoms before a patient gets diagnosed and so one of the messages we have for women being that this is Ovarian Cancer Awareness Month is ‘Listen to your bodies.” And if you’re experiencing pain that is not being explained, go back and get checked out again. That things change over time but don’t ignore them and try to get diagnosed as early as possible. Neal: Are there treatments in preventing recurrence once it has reached such an advanced stage? Or is this pretty par for the course as far as what Anne has told us? Dr Holloway: Exactly right, we do have new treatment options and this story is very typical that Anne is told but what’s new today is that we have maintenance therapy options which are oral therapies once a day so we’re not talking about ongoing IV chemotherapy. And I too would consider her a candidate for this therapy, it’s called the ZEJULA, it’s a once a day oral like therapies, all cancer therapies there are side effects. It’s important that you ask your doctor about the side effects, the risks and the benefits and you can read about this yourself at zejula.com but it’s an excellent option for many women to help maintain that remission and stay off IV chemotherapy. Neal: Anne, is there anything that you can think back on that maybe you could have done differently to I guess speed up or find out what your condition was a lot sooner? And if there was something that you can remember, what would you tell other women who may be facing your same situation? Anne: Well what’s interesting is I did go to the doctor and had an ultrasound and nothing showed up so the symptoms I had were very similar to someone going through IVF. My stomach was bloated, I felt full after eating just a little bit, I just was kind of rundown but I travel a lot for work so I really didn’t think there was anything more than maybe it was just postmenopausal. Long story short, is listen to bodies. That’s what I would tell the women, listen to your bodies, advocate, get a second opinion and don’t ignore your gut instincts. Neal: How can we get involved as listeners in ovarian cancer research and awareness, being ovarian cancer research awareness month? Is there some place online that we can go and get involved and get some more information? Dr Holloway: Absolutely. I would recommend that you look for the Foundation for Women’s Cancer, it’s a foundation through the Society of Gynecologic Oncology has a lot of information about ovarian cancer – signs symptoms treatments and research opportunities going on in the United States and places for patients to advocate and get involved with ovarian cancer research are found on that website as well. Neal: Great. Well I certainly appreciate both of you coming in and speaking with us Dr. Robert Holloway and Anne. And I’m wishing you all the best Anne and thank you so much for joining us both today.